Probably the best all round calibre for Africa. The bore is clean and sharp (these rifles don't get a lot of shooting). Can have a choice of 1" or 30mm rings. Also available set of RCBS reloading dies and empty cases. A lightly used and tidy example. Excellent condition having had very light use. 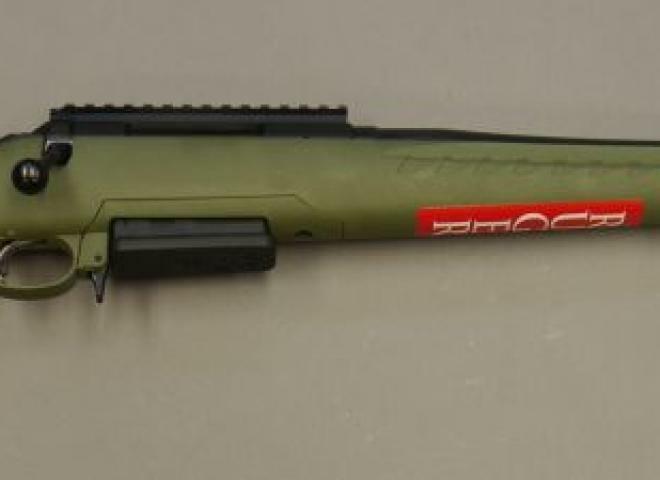 Has a Green Mountain aftermarket barrel fitted and comes with BSA Sweet 17 scope!!. Supplied with a 10 shot magazine and BSA Essential 3-9x40 scope. Ruger 10/22 in good condition. Comes complete with 10 round magazine. Custom built reciever by "Rimfire magic". "Rimfire magic" 16" fluted target barrel. .22lr calibre innovations sound moderator. An awesome looking custom 10/22 which comes with a Blackhawk collapsible stock system, full Piccatinny rail system, Sightmark red dot sight. 25 round magazine, A-Tech sound moderator. All in very good condition. To inquire about this rifle please quote number 108. 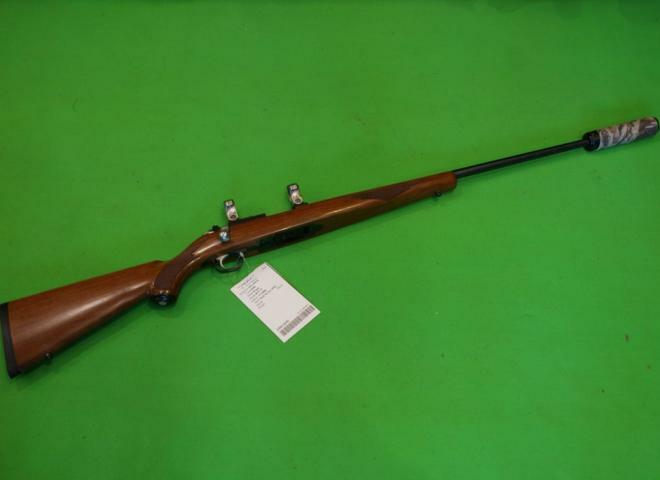 Very good condition clean Ruger M77 MK2 with NikkoStirling Diamond 3-12X56 illumintaed, an ideal first rifle. This rifle is screw cut and supplied with a Jet Z SL5 sound moderator. 01223 837977 for details. Fitted with wildcat sound mod, bipod and a Hawke 8x56 scope. A secondhand Ruger 10/22 Stainless synthetic fitted with a matching silver SAK sound moderator and a Hawke 3-9x40 scope and rings all in very good condition great starter package. A secondhand Ruger 10/22 stainless black synthetic stock fitted with silver SAK moderator and Hawke Nighteye 3-12x50 AOIR scope and mounts gun has had the auto bolt release fitted and tri rail bipod mount. New Ruger American Rifle in .308. 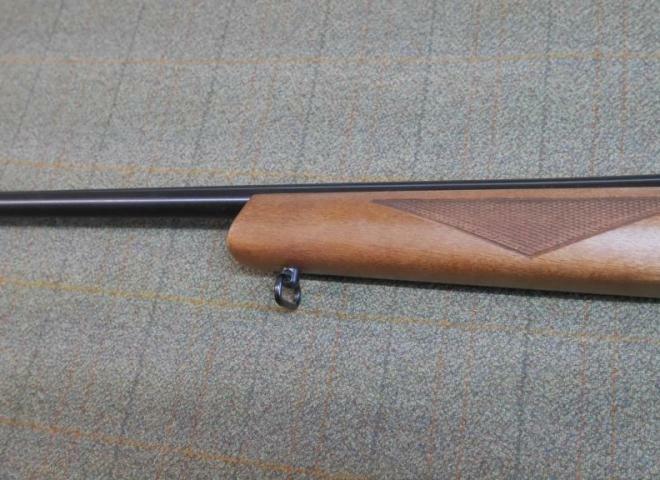 Threaded barrel and we have a deal on with a moderator for only an extra £150. 4 shot detachable magazine and scope bases included. Very nice condition wooden stocked Ruger 10/22 with dovetail scope rail and a brand new Decimeater moderator if your FAC allows. Includes 2 genuine Ruger magazines. Laminate Thumbhole rifle with Rimfire magic shrouded barrel and 3 magazines . Model 10/22 Ruger .22 Rim Fire Target Laminate 20” Blued Semi-automatic Rifle. The Latest Ruger tactical .6.5 Creedmoor. comes with 2 magazines, new tactical forend, new metal bolt housing and muzzle brake.- In stock now. Ready to purchase. The Mighty Ruger precision just got mightier !! If big calibers and big distances are your thing then the RPR in .338 Lap Mag or .300 Win Mag might be for you. We stock all calibers of the RPR from .22LR to the Mighty .338 Lap Mag. Soft rubber recoil pad is crafted for maximum recoil reduction. Heavy-contour target barrel features a Ruger Precision Rifle® Hybrid Muzzle Brake to effectively reduce recoil while minimizing noise and blast to the sides of the shooter. Fair condition Ruger .243, not screwcut, ideal first stalking/foxing rifle. 01223 837977 for more details. 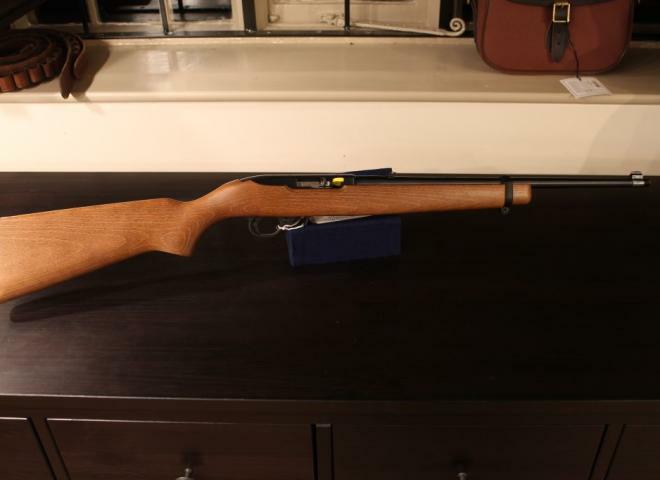 Pre owned Ruger M77 Hawkeye Carbine, screw cut.